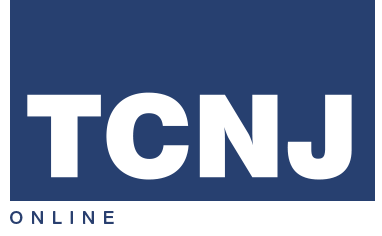 When the fictional New Jersey college administrator at the center of Murder 101 needs a slice of forensic expertise, he goes to a real-life expert—TCNJ’s own John Allison, professor of chemistry. “It’s unusual that an actual person shows up in a work of fiction,” Allison said. The cameo grew out of Allison’s work with the book’s author, Heath Boice-Pardee (writing under the name Heath P. Boice). As director of forensic chemistry at TCNJ, Allison was a prime choice of adviser for Boice-Pardee’s second mystery novel. “Whenever I have a technical question about things, [Allison is] one of the first people I reach out to,” the author said. 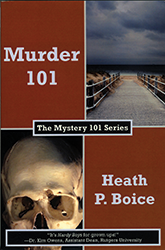 Murder 101 follows the dean of a Jersey-shore college as he investigates the burial of an anonymous skull. At the author’s request, Allison lent his imagination to the fictional processes the characters use to gather information about the mysterious remains. “I do a lot of analytical chemistry, trying to get answers for things like that,” Allison said. His past endeavors have included determining the age and authenticity of works of art. In return for his advisement, the author wrote in a fictionalized Allison, a TCNJ professor who has “developed a process for dating just about anything … except himself.” He and TCNJ appear prominently in Chapter 14, during which he uses a laser mass spectrometer to date the dean’s collection of bones. In Murder 101, Dean Douglas Carter-Conners and the fictional Allison meet for the first time, and their collaboration opens the door to an even deeper mystery involving shadowy secrets and underground societies. Boice-Pardee, a college administrator like his protagonist, has in fact known Allison for several years. Now serving as associate vice president at Rochester Institute of Technology, he met the chemistry professor while working as an adjunct at the College. Their collaboration hasn’t resulted in such gloomy revelations, but they have managed to turn an academic relationship into fun and suspenseful piece of mystery fiction.